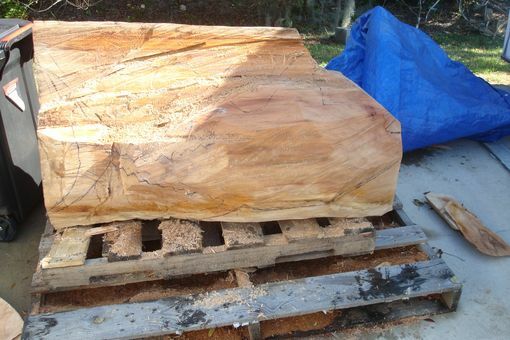 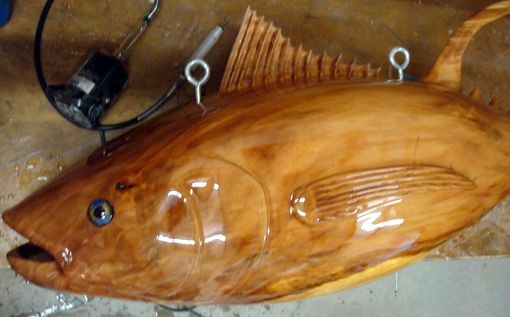 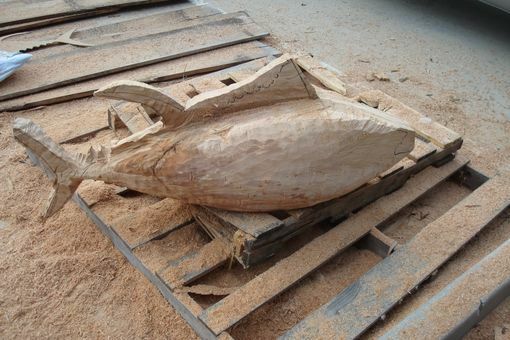 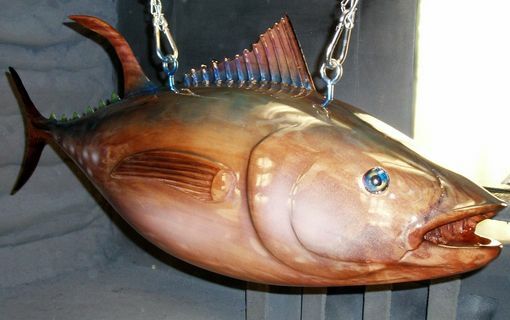 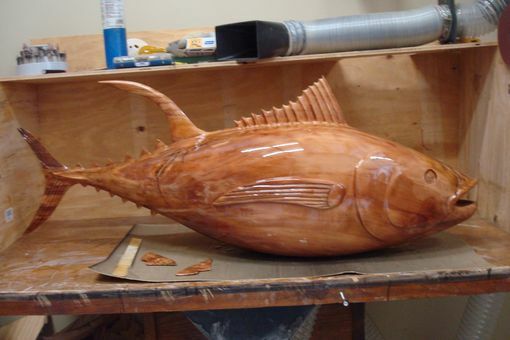 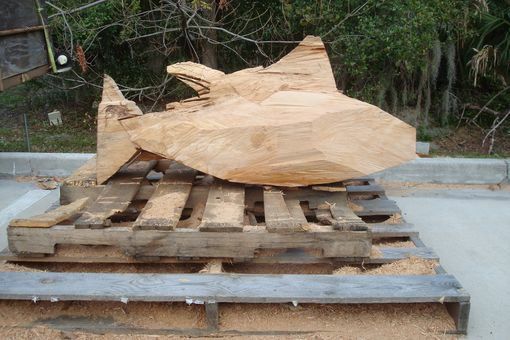 This is a full mount Blue Fin Tuna in it's final stages carved from a solid log of Sycamore. 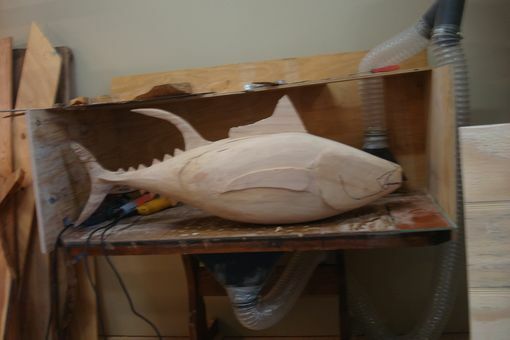 I was consigned to carve this Fish for one of my customers opening a new Sushi Bar in Downtown Manhattan. 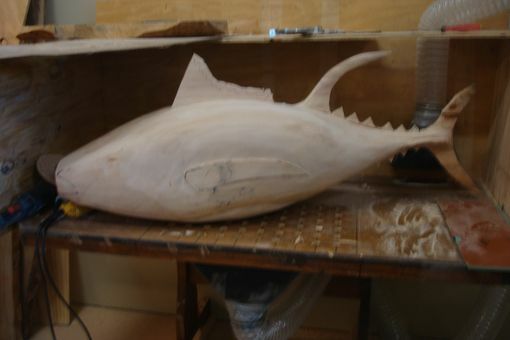 I will be adding 3 more fins and some transparent paint to give it natural color. 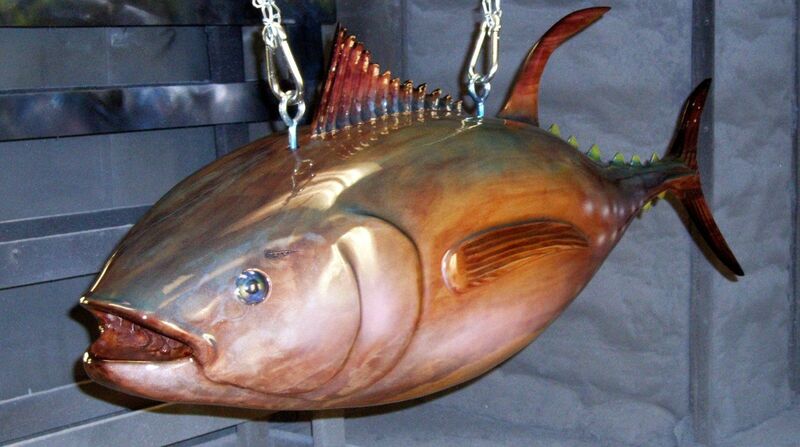 Dimensions: This Tuna Fish is approx. 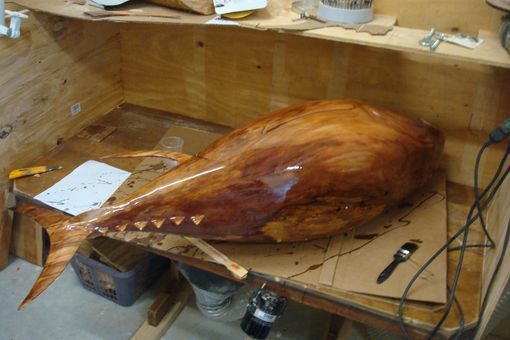 60" long, 28" in girth and weighs about 150 pounds.